As the years go by, the MMO genre is racking up quite a bit of tradition and indeed: history - a term not often associated with the digital gaming genre. There are titles out there - some of them like Blizzard's World of Warcraft known world-over, others less popular - which have acquired the status of a sort of living fossil, a working and breathing testimony to the beginning of MMOs. Funcom's Anarchy Online is one such game, and it has recently celebrated its 15th birthday - indeed eternity itself in MMO terms. To make things even sweeter, Anarchy Online is the first ever sci-fi MMO and by the looks of things, it is still going strong. To celebrate the anniversary, Funcom are inviting everyone who's ever played the game - regardless of their current membership status - to take part in a series of festivities. The festivities include a brand new membership offer to lure some more players (back) into the fold, by giving them various login rewards, new armor pieces and by letting them take part in a Desert Rider event. Furthermore, to mark the occasion, there will be a special game update, which will hand a new research-line to end-game players, as well as a new Veteran Shop, coupled with new Player v Player Attack Windows on Notum Tower Fields. 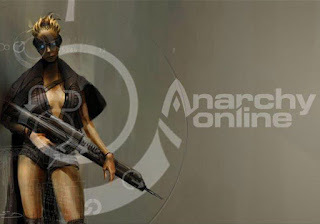 Anarchy Online's lead designer Henry Senger attributed the longevity and the success of the game to its ability to build up a powerful community which has turned into the heart and soul of the game. He also said he wished the game went on for at least another 15 years. Released in 2001, Anarchy Online brought quite a bit of innovation to the MMO table in its heydays, including instancing, dynamic missions as well as item levels. Philip Thalberg is a member of the world biggest eSports community at Gosugamers.